I am in Rocky Hill, NJ, drinking Girl Grey by The Bruery. The Bruery is a Micro Brewery in Placentia, CA. 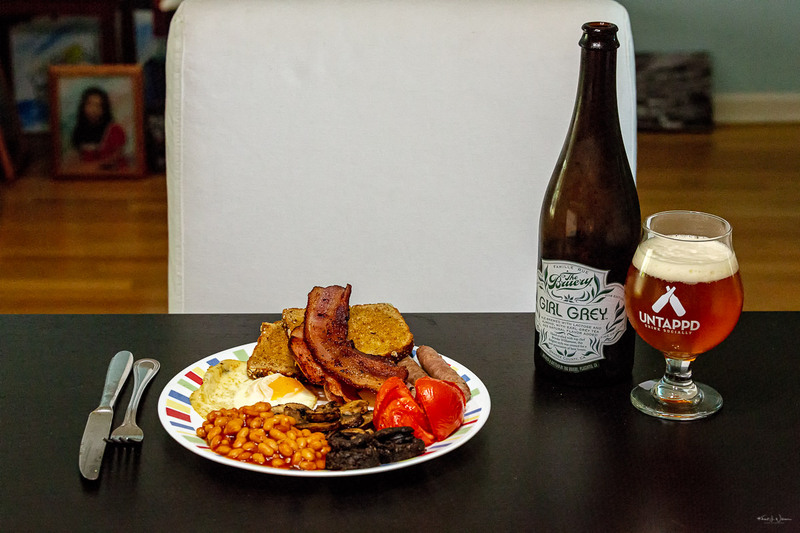 Girl Grey beer style is Belgian Strong Golden Ale, with an ABV of 8.5% and IBU of 0. I gave Girl Grey a 3.75 on Untappd’s 5 point rating system. My kids cooked me up a “modified” full English breakfast. 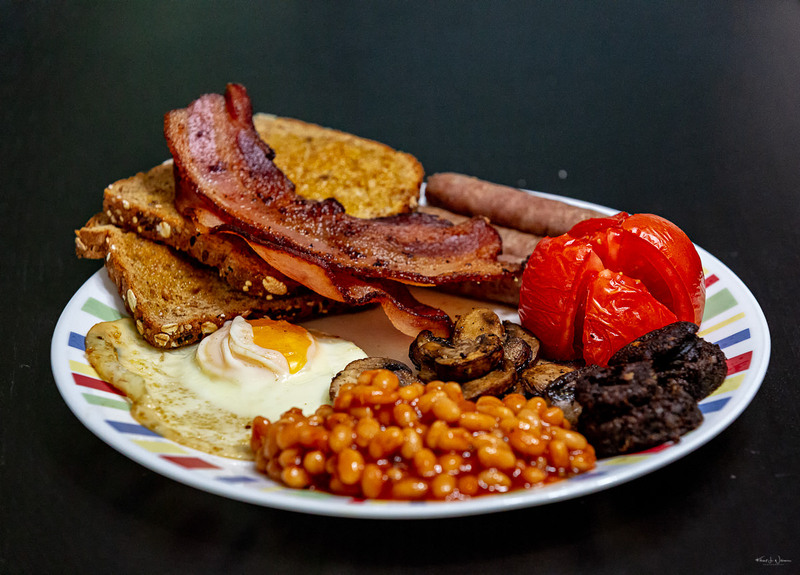 What is a full breakfast? My kids cooked Heinz baked beans, fried polish blood sausage, breakfast sausage, baked tomato, whole grain toast, sauteed baby Bella mushrooms, fried egg, and thick cut bacon. Whole grain toast instead of white bread toast. And instead of Earl Grey Tea, I’m washing it down with this “Girl Grey” IPA. Hoppy Father’s Day to all the Untappd Dad’s. Top chef Brooke Williamson is a leader in redefining flavors and roles in the culinary world. We teamed with her to extend those contributions to the beer world with Girl Grey. This beer features the cool character of a Belgian-style ale, with sweet ribbons of almond flavors balanced by the piquant qualities of Earl Grey tea. It’s a creation for a new generation of beer lovers. Cheers! We are a boutique craft brewery located in Orange County, California specializing in experimental and barrel aged beer. Our name is a fusion of ‘brewery’ with our family name, Rue. Our calling is to create beers with character and depth using the simplest and purest of means. We strive to use unconventional ingredients, and we will proudly state what we put in our beers. We enjoy serving you, your friends and your family. 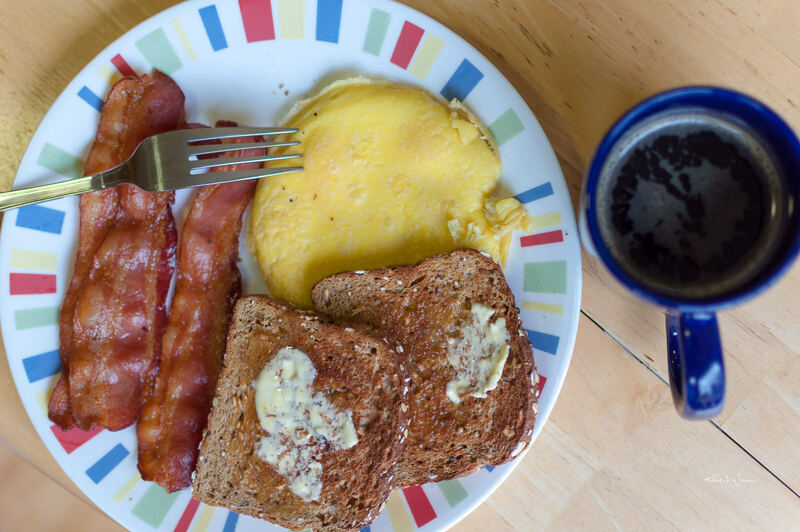 Thick-cut bacon, eggs, whole-grain toast and a mug of freshly brewed coffee. Bacon, eggs, toast and a mug of freshly brewed coffee. Based on the information I compiled from FatSecret my breakfast had about 507 calories, 24.77g of carbohydrate, 30.58g of protein, and 32.94g of fat. Arrange the bacon slices in one layer on top of the oven rack. Position the oven rack in the lower third of the oven. Bake until the bacon is golden brown and crispy, 12 to 20 minutes. The exact baking time will depend on the how thick your bacon is and how crisp you like it. Remove bacon from oven and set aside on a paper towel to cool. Re-use some of the bacon greases and add to a cast iron skillet on medium-low heat. Beat the eggs with a whisk. Scramble eggs in cast iron skillet. 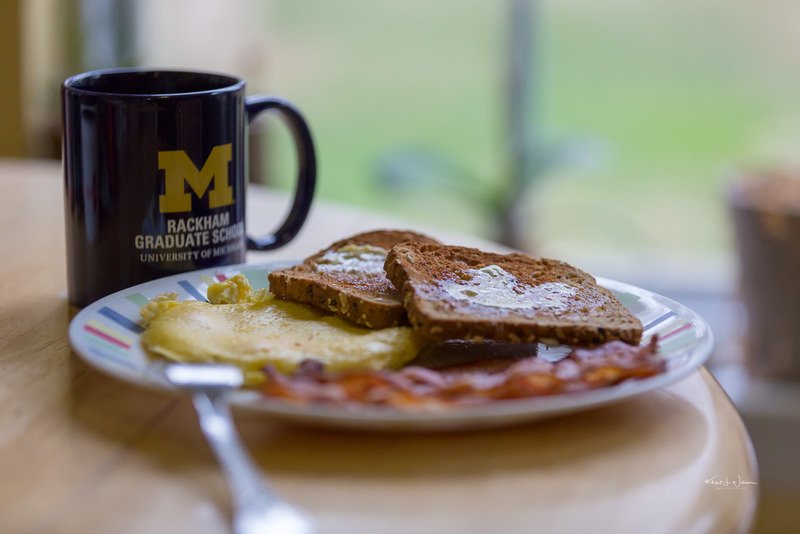 Thick-cut bacon, eggs, whole-grain toast and a mug of freshly brewed coffee. Good morning.